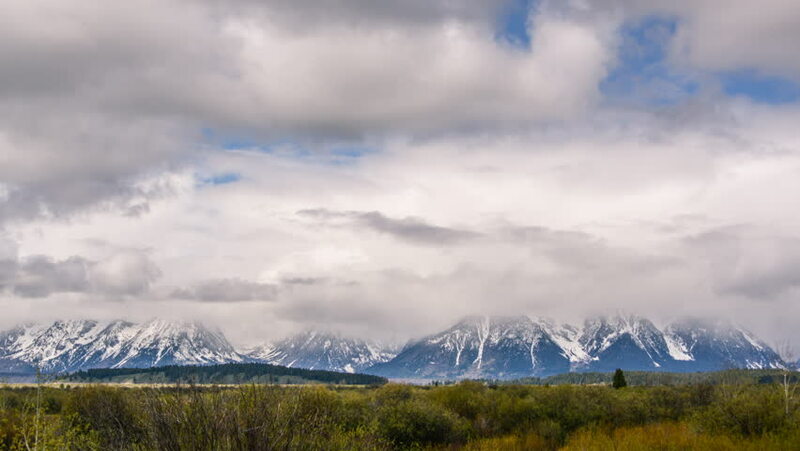 Timelapse of Grand Teton National Park in USA. Snow mountains with clouds. In 4K.